This week marks the setup and show days for the pro Hair live show at Manchester Central. Like many other shows and exhibitions across the UK we have been delivering on behalf of our clients and indeed their clients. 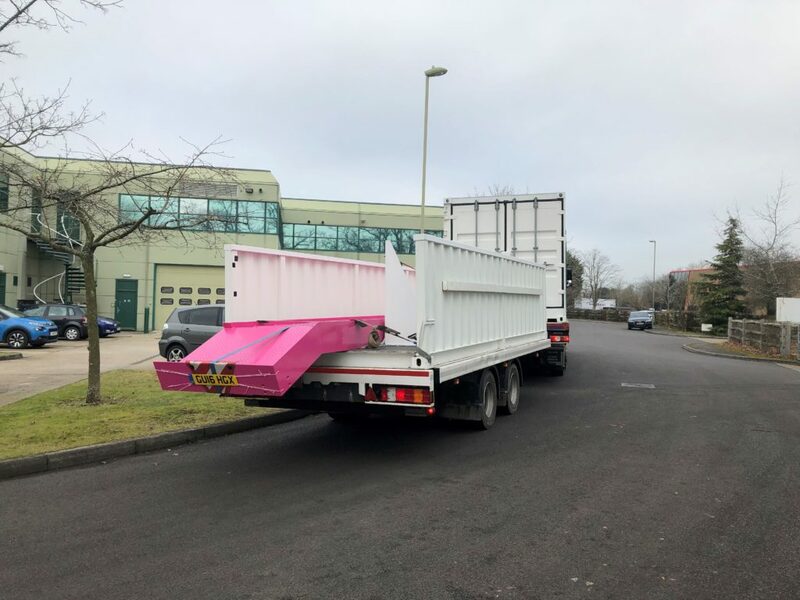 Driver Greg had a double delivery and installation onsite this week as he took a converted 20′ container and an additional section in one trip using our HIAB and drawbar trailer. 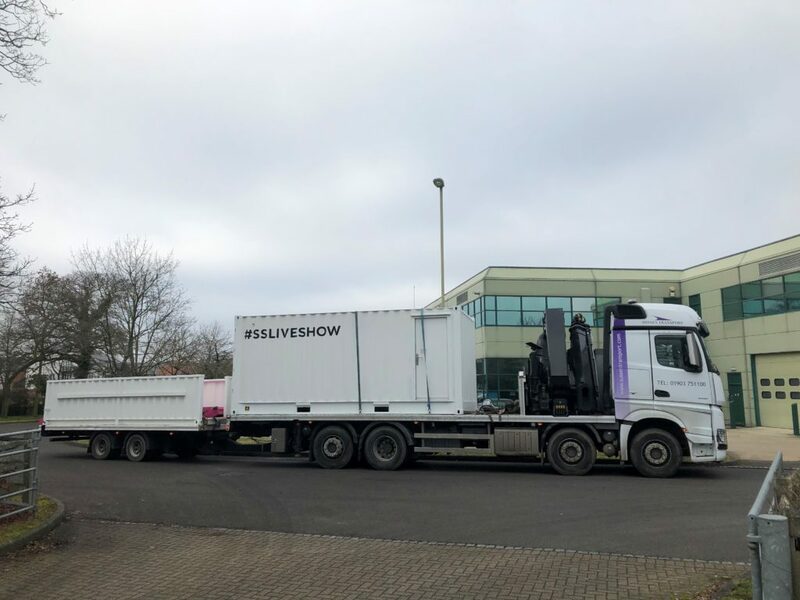 For all your exhibition / trade show road haulage needs just pick up the phone and talk to our expert team on 0800 915 23 23 or complete our enquiry form. This entry was posted in Delivering to..., HIAB / Crane Lorry Loaders, News, Storing for..., Where are Sussex Transport going..., Where are Sussex Transport..., Working with... and tagged container transport, Converted Container, Drawbar Trailer, hiab, Manchester Event, manchester exhibition transport. Bookmark the permalink.